Shores, Christopher: Those Other Eagles: A Tribute To The British, Commonwealth And Free European Fighter Pilots Who Claimed Between Two And Four Victories In Aerial Combat, 1939 - 1982 (A Companion Volume to Aces High), Grub Street, London, October 3, 2004.
and RNVR during world war 2. Abbott Miss Alice Patricia Leading Aircraftwoman, Women's Auxiliary Air Force. Adams Gordon Dempster Sergeant Pilot, RAFVR. Adams Robert Francis Air Gunner, RAFVR. Adams Robert John Flying Officer, RAFVR. Adamson Ian Flight Lieutenant, RAFVR. Allan Ernesto Flight Sergeant, RAFVR. Alwood Eric Townley Sub Lieutenant, RNVR (Fleet Air Arm). Killed on active service. Alwood Keith Kitson Aircraftman 2nd Class, RAFVR. Amos Cyril Rowland Flying Officer, RAFVR. Killed on active service. Amos Leslie Harry Sub Lieutenant, RNVR. (Fleet Air Arm) . Ancell Robert Hastings Sergeant, RAFVR. Killed in action. Anderson Robert James Aircraftman 2nd Class, RAFVR. Anderson William Campbell Flying Officer, RAFVR. Andrews Albert Squadron Leader, RAFVR. Andrews P. N. Aircraftman 1st Class, RAFVR. Anson May Hugh Douglas Sub Lieutenant, RNVR. DSC . (Fleet Air Arm). Missing in action. Arnold Edward Bertram Flying Officer, RCAFVR. Asher Mrs. Maureen Margaret A.W.L, Women's Auxiliary Air Force (Canada). Asher John James Flying Officer, RCAFVR. AFC. Atkinson Wilfred George Pilot Officer, RAFVR. Killed on active service. Austin Derek Tracy Pilot Officer, RCAFVR. Austin George Robert Pilot Officer, RAFVR. Killed in action. Bach Thomas Eric Flying Officer, RCAFVR. Mentioned in despatches. Baker Harry Stephen Leading Aircraftman, RAFVR. Baldock John Flight Lieutenant, RAFVR. Balfour George William Flight Lieutenant, RAFVR. Ball Melville Henry Pilot Officer, RAFVR. Killed on active service. Barker Stanley Frederick Flying Officer, RAFVR. Barrow Mrs. Inez Marion Corporal, Women's Auxiliary Air Force. Baugh John Stuart Flight Lieutenant, RAFVR. Baxendale Albert Michael Aircraftman 1st Class, RAFVR. Bayley Miss Gillian Frances Leading Aircraftwoman, Women's Auxiliary Air Force. Bayley Miss Marie Marcelle Section Officer, Women's Auxiliary Air Force. Mentioned in despatches. Baynes Frank Eric Corporal, RAFVR. Beaumont Mrs. Agnes Beveridge Leading Aircraftwoman, Women's Auxiliary Air Force. Beaumont Albert Arthur Leading Aircraftman, RAFVR. Beaumont Arthur Sergeant, RAFVR. Killed in action. Beck Miss Marg a ret Constance Airwoman 1st Class, Women's Auxiliary Air Force. Beckwith Ivor Campbell Flight Lieutenant, RCAFVR. DFC . Bell James Frank Macdonald Squadron Leader, RCAFVR. DFC. AFC. Benitz Frank Malcolm Flight Lieutenant, RCAFVR. DFC. Bennett Eric Sergeant, RAFVR. Killed in action. Benson Patrick Douglas Leading Aircraftman, RAFVR. Bertram William Flight Lieutenant, RAFVR. Billett Vivian Warrant Officer, RAFVR. Birbeck Miss Ruth Leading Aircraftwoman, Women's Auxiliary Air Force. Blackburn Mrs. Doreen Jessie Section Officer, Women's Auxiliary Air Force. Blake Henry Charles Fitzgerald Flying Officer, RAFVR. MBE. Mentioned in despatches. Blake Robert Aircraftman 2nd Class, RAFVR. Killed on active service. Bobbett Miss Edith Nelson Leading Aircraftwoman, Women's Auxiliary Air Force. Boland William Aircraftman 1st Class, RAFVR. Bond Irving Bateson Leading Aircraftman, RAFVR. Bonham Miss Florence Leading Aircraftwoman, Women's Auxiliary Air Force. Bonner George Arnold Pilot Officer, RAFVR. Killed on active service. Bonner Norman Ford Flight Sergeant, RAFVR. Booth Michael Lawrence Leading Aircraftman, RAFVR. Boothby Mrs. Avril Alice Women's Auxiliary Air Force. Bornstein Miss Clarice Women's Auxiliary Air Force. Boswell Robert McBain Sergeant, RAFVR. Missing in action. Bouwer Nicolás Oscar Warrant Officer, RAFVR. Boxall Miss Marjorie Emily Sergeant. Women's Auxiliary Air Force. Bradbury Frederick Shaw Flying Officer, RAFVR. Killed on active service. Brandon David Warrant Officer, RAFVR. Branson Mrs. Phyllis Irene Corporal, Women's Auxiliary Air Force. Brazier Eric Richard Warrant Officer, RAFVR. Bridger Miss Joyce Leading Aircraftwoman, Women's Auxiliary Air Force. Bridger David Bruce Pilot Officer, RAFVR. Killed on active service. Bridger Jack August Flying Officer, RAFVR. Broughton Albert John Flight Sergeant, RAFVR. Brown Miss Joan Kindness Section Officer, Women's Auxiliary Air Force. Brown Mrs. Joan Ethel Airwoman 2nd Class, Women's Auxiliary Air Force. Brown Robin Oliver Aircraftman 2nd Class, RAFVR. Browne Miss María Te resa del Socorro Women's Auxiliary Air Force. Browne John Alfred Flight Lieutenant, RAFVR. Brownrigg Mrs. Joan C. Leading Aircraftwoman, Women's Auxiliary Air Force. Brownrigg Herbert Annesley Flight Lieutenant, RAFVR. Brownrigg Maurice Neville Flying Officer, RAFVR. Brownrigg Valentine Worthington Flying Officer, RAFVR. Bruce John Brantingham Pilot Officer, RAFVR. Bunting William Squadron Leader, RAF. Burford Miss Madlyn Carmen Women's Auxiliary Air Force. Burns Mrs. Ethel Corporal, Women's Auxiliary Air Force. Burton ChadwickMrs. M. B. Women's Auxiliary Air Force. Burton Horace Flight Lieutenant, RAFVR. Burton John Deryck Flight Lieutenant, RCAFVR. Burton Stanley Witterick George Warrant Officer, RAFVR. Cadmus George Austin Pilot Officer, RCAFVR. Killed in action. Caldwell Horace Flight Sergeant, RAFVR. Cameron Allan Reid Pilot Officer, RCAFVR. Killed in action. Campbell Miss Phyllis Ethel Leading Aircraftwoman, Women's Auxiliary Air Force. Campbell Ronald Henderson Stewart Flying Officer, RAFVR. Carleton Hugh Basil Pilot Officer, RAFVR. Killed on active service. Carr-Rollitt Albert William Leading Aircraftman, RAFVR. Carroll Eric George Flight Sergeant, RAFVR. Carter Miss Amelia Sophia Leading Aircraftwoman, Women's Auxiliary Air Force. Caulfield Miss Beatrice S. Section Officer, Women's Auxiliary Air Force. Caulkett James Víctor Flight Lieutenant, RAFVR. Cavey Douglas Aircraftman 2nd Class, RAFVR. Cay Miss Elizabeth Lungley Leading Aircraftwoman, Women's Auxiliary Air Force. Charney Kenneth Langley Group Captain, RAF. DFC&BAR . Cheesman Miss Cynthia Margaret Translator Typist, Women's Auxiliary Air Force. Chelia Francisco Alberto Mario Aircraftman 2nd Class, RAFVR. Chew Thomas Towler Flight Lieutenant, RAFVR. Chilcott Phillip Flight Lieutenant, RAFVR. Clarke Richard Hardcastle Flying Officer, RAFVR. Clarke Ciaran Anthony Aircraftman 2nd Class, RAFVR. Killed on active service. Cleaver Mrs. Elizabeth Wolfe Asst. Section Officer, Women's Auxiliary Air Force. Clydesdale Miss Anna Joyce Airwoman 2nd Class, Women's Auxiliary Air Force. Cochrane Robert Hope Warrant Officer, RAFVR. Coggan Stanley Rowland Pilot Officer, RAFVR. Comber Robert Mervyn Squadron Leader, RAFVR. Compton Peter Skerrett Flight Lieutenant, RAFVR. DFC. Courtney Kenneth Harper Flight Lieutenant, RAFVR. Craig David Hugh Neale Sergeant Pilot, RAFVR. Crapper Philip Basil George Leading Aircraftman, RAFVR. Cribbes Mrs. Sylvia Mary Leading Aircraftwoman, Women's Auxiliary Air Force. Cribbes George Deryk Pilot Officer, RAFVR. Killed on active service. Crisp Roland Clifford Flight Lieutenant, RAFVR. Crofts Robert Leading Aircraftman, RAFVR. Cruttenden Miss Mónica Christine Section Officer, Women's Auxiliary Air Force. Cunningham Robert Edward Leading Aircraftman, RAFVR. Daintree Ronald Francis Flying Officer, RAFVR. Damon Christopher John Leading Aircraftman, RAFVR. Darbyshire Alexander Grant Pilot Officer, RAFVR. Darley Joseph Harold Pilot Officer, RAFVR. Killed on active service. Dashwood Roland Pettus Flight Lieutenant, RAFVR. Davidson Wilfred Ian Flight Lieutenant, RAFVR. Davies Owen Lloyd Flight Lieutenant, RAFVR. Davies Colin Cameron Flying Officer, RAFVR. Davies Sidney Edward Sergeant, RAFVR. Missing in action. Davis J. R. G. Sergeant, RAFVR. Davison Miss Elaine Joan Leading Aircraftwoman, Women's Auxiliary Air Force. Davison Mrs. Phyllis Winifred Leading Aircraftwoman, Women's Auxiliary Air Force. Davison William Harry Flight Lieutenant, RAFVR. Davreaux Pierre Flight Sergeant, RAFVR. Day John Hunt Flight Lieutenant, RAFVR. De Larminat Bernardo Noel Flight Lieutenant, RCAFVR (Free French Air Force ) French Croix De Guerre with Palms. Deck Harold Frederick Pilot Officer, RAFVR. Killed in action. Deck James Frederick Pilot Officer, RAFVR. Killed in action. Deges Carl Sergeant, RAFVR. Killed in action. Dermont Edward Alan Flight Sergeant, RAFVR. Deyes Mrs. Frances Mary Leading Aircraftwoman, Women's Auxiliary Air Force. Dickinson Mrs. Francis Isabel Section Officer, Women's Auxiliary Air Force. Dinwoodie Miss Isabel Maxwell Women's Auxiliary Air Force. Dix Miss Kathleen Thirza Leading Aircraftwoman, Women's Auxiliary Air Force. Dobson Edward William Leading Aircraftman, RAFVR. Dodd Alexander Osborne Flight Lieutenant, RAFVR. Dodds Mrs. Pamela Leading Aircraftwoman, Women's Auxiliary Air Force. Dorricott Miss June Muriel Woodley (nowMrs. Hodkinson) Women's Auxiliary Air Force. Douglas Mrs. Eileen Elizabeth Sheila Women's Auxiliary Air Force. Downey Frederick Stuart Flying Officer, RAFVR. Downie George Brockie Corporal, RAFVR. Drabble Charles Noel Flight Lieutenant, RAFVR. Killed in action. Drever J. A. Sergeant, RAFVR. Dudbrige Mrs. Evelyn J Leading Aircraftwoman, Women's Auxiliary Air Force. Duncan Miss Janet Anne Victoria Leading Aircraftwoman, Women's Auxiliary Air Force. Duncan Miss Norah Maude Leading Aircraftwoman, Women's Auxiliary Air Force. Duncan Mrs. Margaret Bernice Section Officer, Women's Auxiliary Air Force. Dunlop Miss Maureen Adele 1st Officer & Wings, Air Transport Auxiliary. Earnshaw John Alfred Flying Officer, RAFVR. Easdale John Linton Flying Officer, RAFVR. Eaton Miss Gloria Millicent Women's Auxiliary Air Force. Eddy William Edward Montague Squadron Leader, RAFVR. DSO. DFC&Bar. Edmunds Mrs. Aurora Mary Ambulance Driver, Air Raid Precautions. Edmunds Peter John Aircraftman 1st Class, RAFVR. Edward Frank Hardwick Pilot Officer, RAFVR. Edward John Flying Officer, RCAFVR. Edwards Dennis Herbert Flying Officer, RAFVR. Killed in action. Elder Gordon Peter Leading Aircraftman, RAFVR. Ellard Harry Douglas Warrant Officer, RAFVR. Ellard Richard William James Leading Aircraftman, RAFVR. Elliot Mrs. Enid Ethel Section Officer, Women's Auxiliary Air Force. Emerson John Malcolm Flying Officer, RAFVR. Emery Thomas Henry Flying Officer, RAFVR. Ephgrave Gordon Peter Sergeant, RAFVR. Everatt Mrs. Vera Section Officer, Women's Auxiliary Air Force. Ewart William Arnot Sergeant, RAFVR. Missing in action. Eyles Miss Dorothy Beatrice Corporal, Women's Auxiliary Air Force. Falcy Mrs. Mary Martin Corporal, Women's Auxiliary Air Force. Falcy Maurice Emile Flight Lieutenant, RAFVR. Fase Miss Diris Nellie (nowMrs. Rickaby) Airwoman 2nd Class, Women's Auxiliary Air Force. Favier Ralph Henry Pilot Officer, RAFVR. Killed in action. Fernández de León Mario Alfredo Pilot Officer, RCAFVR. Killed in action. Field Gerald Richard Squadron Leader, RAFVR. Finch Miss Elsie Beatrice Lucy Leading Aircraftwoman, Women's Auxiliary Air Force. Finch Raymond Michael Gowan Flight Sergeant, RAFVR. Finlayson Miss Marg a ret Mary Stuart Corporal, Women's Auxiliary Air Force. Fisher Kenneth John Flying Officer, RAFVR. Fitzherbert Arthur de Winton Flight Lieutenant, RAFVR. Flood Michael Thomas Flight Lieutenant, RAFVR. Killed in action. Florence Mrs. Emily Airwoman 2nd Class, Women's Auxiliary Air Force. Ford Christopher Garland Squadron Leader, RAFVR. Ford George Albert Aircraftman 1st Class, RAFVR. Forsyth John Barclay Leading Aircraftman, RAFVR. Forwood William Albert Flight Sergeant, RAFVR. Foster William Barham Acting Squadron Leader, RAFVR. Foulkes Berner Clarke Flight Lieutenant, RAFVR. Fowler Miss Helen Jean Section Officer, Women's Auxiliary Air Force. Fowler Miss Kathleen M. Nursing Sister, PMRAF. Nursing Serv i c e.
Foy Francis Patrick Leading Aircraftman, RAFVR. Franceschi Luis Gerónimo Warrant Officer, RAFVR. Francis Robin Keith Pilot Officer, RAFVR. DFC. Killed in action. Franklin Keith Flight Sergeant, RAFVR. Freeman Mrs. Beatrice Inez Leading Aircraftwoman, Women's Auxiliary Air Force. Freeman Coronwy Thomas Aircraftman 2nd Class, RAFVR. Freeman Douglas Costa St. George Aircraftman 1st Class, RAFVR. French Miss Florence Blanche Corporal, Women's Auxiliary Air Force. French Charles Albert Flight Lieutenant, RAFVR. Frend John Whitley Warrant Officer, RAFVR. From Mrs. Marjorie May Airwoman 2nd Class, Women's Auxiliary Air Force. Fudge Bevis Leslie Sergeant, RAFVR. Gardner Miss Ines Marian Women's Auxiliary Air Force. Gardner Arthur Gill Squadron Leader, RAFVR. DSO. DFC. Garratt Miss Ines Elena Leading Aircraftwoman, Women's Auxiliary Air Force. Garratt Miss Joan Leading Aircraftwoman, Women's Auxiliary Air Force. Garrett Mrs. Hermance M. Leading Aircraftwoman, Women's Auxiliary Air Force. Garsed Alan Paul Flight Lieutenant, RAFVR. Gates Wilfred Arthur Flight Lieutenant, RAFVR. Geddes Diego David Eric Aircraftman 2nd Class, RAFVR. Genth Anthony William Pilot Officer, RAFVR. Killed on active service. Genth John Rees Flight Lieutenant, RAFVR. Gill Miss Joan Ethel Women's Auxiliary Air Force. Gill Ernest Kilby Flight Lieutenant, RAFVR. Gilpin George Flight Lieutenant, RAFVR. Gimson Mrs. Joyce Katherine Acting Corporal, Women's Auxiliary Air Force. Gittins Dennis Campbell Livingston Sergeant, RCAFVR. Gittins Wa rwick Carlyle Livingston Leading Aircraftman, RAFVR. Glass Donald Henry Flight Lieutenant, RAFVR. Glenny Miss María Marta Acting Sergeant, Women's Auxiliary Air Force. Glucksmann Enrique Carlos Aircraftman 2nd Class, RAFVR. Golightly John Edwin Pilot Officer, RCAF. Goodbody Miss Moira Ruby Leading Aircraftwoman, Women's Auxiliary Air Force. Goodbody Mrs. Inez Margaret Leading Aircraftwoman, Women's Auxiliary Air Force. Goodbody John Patrick Squadron Leader, RAFVR. Gordon George Maitland Rose Flying Officer, RAFVR. Gordon Ian Archibald Flight Lieutenant, RAFVR. Gordon-Davis John Roland Flight Lieutenant, RAFVR. DFC. Goule Mrs. Dorothy Women's Auxiliary Air Force. Gowar Gerald Arthur Squadron Leader, RAFVR. Graham Alan Heap Warrant Officer, RAFVR. Graham John Haven Leading Aircraftman, RAFVR. Gray Miss Beryl Dinah Leading Aircraftwoman, Women's Auxiliary Air Force. Greene Frederick Arthur Flying Officer, RAFVR. Gregg Robert Berkeley Flying Officer, RAFVR. D F C.
Gregory Dean Alpin Ramsay Corporal, RAFVR. Gregory George Stanley Flight Lieutenant, RAFVR. Griffin Dennis Whinnery Leading Aircraftman, RAFVR. Griffiths John Tudor ACMRNVR. (Fleet Air Arm). Griffiths William Peter Leading Aircraftman, RAFVR. Haddock John Vivian Flight Lieutanant, RNVR. Haigh Miss Mabel Mary Pilar Sergeant, Women's Auxiliary Air Force. Haines Geoffrey John Flight Lieutenant, RAFVR. Hale Kenneth Frederick Hampton Squadron Leader, RCAFVR. Hales Reginald George Flight Lieutenant, RAFVR. DFC. Hall Mrs. Gertrude Audrey Section Officer, Women's Auxiliary Air Force. Hall Dennis Edwin Flight Lieutenant, RAFVR. Hamilton Gordon Flying Officer, RAFVR. Hanley Mrs. Marion Civil Work Department, Air Ministry. Harding Franck Flight Lieutenant, RAFVR. Harding Stanley Roland Flight Lieutenant, RAFVR. Hares John Henry Leading Aircraftman, RAFVR. Harland Mrs. Jean Leading Aircraftwoman, Women's Auxiliary Air Force. Harland John Herbert Gerard Flying Officer, RAFVR. Killed in action. Harrison Robert Sergeant, RAFVR. Killed in action. Harvey Miss Leslie Kathleen Corporal, Women's Auxiliary Air Force. Harvey Roy Bertram Leading Aircraftman, RAFVR. Harvey Dennis Reginald James Aircraftman 2nd Class, RAFVR. Haslam John Stuart Skeffington Flight Lieutenant, RAFVR. Haxell Kenneth Owen Corporal, RAFVR. Hearne Michael Edward Aircraftman 1st Class, RAFVR. Heelis Colin George de Tessier Squadron Leader, RAFVR. Henderson Mrs. Rosemary Airwoman 2nd Class, Women's Auxiliary Air Force. Henderson Peter Leading Aircraftman, RAFVR. Henman Philip Harold Hawkins Flight Lieutenant, RAFVR. Henshaw John Cleworth Sergeant, RAFVR. Hentschel Percy George Leading Aircraftman, RAFVR. Hickey Miss Hilda Frances Margaret Section Officer, Women's Auxiliary Air Force. Hickey Miss Joy Isabel Gilbert Section Officer, Women's Auxiliary Air Force. Higgins George Edward Able Seaman, RNVR. Hill Mrs. Hilda Dorothy Airwoman 1st Class, Women's Auxiliary Air Force. Hill Donovan Charles Leading Aircraftman, RAFVR. Hine Douglas Alfred Flight Lieutenant, RAFVR. Killed in action. Hinks George Edward Flying Officer, RAFVR. Hoad Peter William Flight Lieutenant, RAFVR. Prisoner of war. Hobbs Miss Dorothy Lilian Leading Airwoman, Women's Auxiliary Air Force. Hodgkinson Miss Adriana C. Women's Auxiliary Air Force. Holder Donald L. Brice Leading Aircraftman, RAFVR. Holdmen Miss Catherine Bridget Women's Auxiliary Air Force. Holland George Albert Squadron Leader, RAFVR. DFC. Holland John de Beauvior Pilot Officer, RAFVR. Died of injuries received in air combat. Honor Dudley Garton Sandry Group Captain, RAF. DFC & Bar. Hook Fred Snell Flying Officer, RAFVR. Hope Cyril Edward Flight Lieutenant, RAFVR. Hopps Robert James Flight Lieutenant, RAFVR. Hopwood Henry Cecil Flight Lieutenant, RAFVR. Horan Peter Joseph Sergeant, RAFVR. Hore Lawrence Browning Squadron Leader, RAFVR. MC. Polish Golden Cross of Merit. Horn Miss Mabel Florence Factory Worker, Aircraft Factory. Horne Horace Edward Leading Aircraftman, RAFVR. Horner John Humphrey Flying Officer, RCAFVR. Horsey John Frederick Flight Lieutenant, RAFVR. Hough James Flight Lieutenant, RAFVR. DFC. Killed in action. Hough Mrs. Mary Rose Airwoman 1st Class, Women's Auxiliary Air Force. Houston Robin Frederick Flying Officer, RCAFVR. Howarth Norman Leading Aircraftman, RAFVR. Hue Frederick Romani Corporal, RAFVR. Hughes Miss Noreen Mary Airwoman 1st Class, Women's Auxiliary Air Force. Hughes Mrs. Joan Airwoman 2nd Class, Women's Auxiliary Air Force. Hughes George Pryce Flight Lieutenant, RCAFVR. Mentioned in despatches. Killed in action. Hughes Lawrence John Flight Sergeant, RCAFVR. Hughes Leonard Gavan Flying Officer, RCAFVR. DFC. Hughes Richard Pryce Pilot Officer, RCAFVR. Killed in action. Hunter Ronald Sandford Warrant Officer, RAFVR. Hunter Clifford Fred Leading Aircraftman, RAFVR. Hunter Donald William Flying Officer, RAFVR. Hutcheson James Wark Leading Aircraftman, RAFVR. Hutton John Scott Flying Officer, RAFVR. Killed on active service. Hyland Harold Samuel Flight Sergeant, RAFVR. Hyland John Joseph Flight Sergeant, RAFVR. Hyland Peter Joseph Pilot Officer, RAFVR. Killed in action. Ingledew William Alistair Air Mechanic 1st Class, RNVR. (Fleet Air Arm). Inglis Miss Gillian Mevagh Women's Auxiliary Air Force. Ingouville Richard Giles Acting Leading Airman, RNVR. (Fleet Air Arm ). Killed on active service. Jackson Mrs. Margarita Corporal, Women's Auxiliary Air Force. Jackson Charles Eric Leading Aircraftman, RAFVR. Jackson William George Cecil D’Aguilar Leading Aircraftman, RAFVR. Jacobs Ronald Flying Officer, RAFVR. James Douglas Hugh William Sergeant, RAFVR. Jarvis William Próspero Corporal, RAFVR. Jeffrey Mrs. Gladys Queenie Airwoman 2nd Class, Women's Auxiliary Air Force. Johnson Eric Walter Leading Aircraftman, RAFVR. Jones Mrs. Pamela Airwoman 2nd Class, Women's Auxiliary Air Force. Jones Allan Robertson Flight Lieutenant, RAFVR. Jones Edward John Flight Lieutenant, RAFVR. Jones George Arthur Elliot Flight Lieutenant, RAFVR. Jones Thomas Rees Sergeant, RAFVR. Killed in action. Jordan Neville Thomas Cadet, RAFVR. Jutting Miss Elena Leading Airwoman, Women's Auxiliary Air Force. Kanarens Alfred D Nightingale Flight Lieutenant, RAFVR. DFC&Bar. Kean Frank Reginald Leading Aircraftman, RAFVR. Keene Francis Henry William Flight Lieutenant, RAFVR. Kehoe James Bernard Sergeant, RAFVR. Killed in action. Keller Eric George Pilot Officer, RNVR. (Fleet Air Arm). Kember Mrs. Jessie Richmond Tannock Leading Airwoman, Women's Auxiliary Air Force. Kember Claude Flying Officer, RAFVR. Kendall Robert Charles Acting Flight Lieutenant, RAFVR. Kennard Cedric Cowland Hore Flying Officer, RCAFVR. Kennard Guy Walter George Squadron Leader, RAFVR. Kennard John Patrick Hore Flight Lieutenant, RCAFVR. Kennedy Alexander Stewart Corporal, RAFVR. Kerdzieski Stanislao Flight Lieutenant, RAFVR. Polish Air Cross & three Bars. Kerr Miss Bella (now Mrs. Wing) Airwoman 2nd Class, Women's Auxiliary Air Force. King Douglas Stuart Pilot Officer, RCAFVR. Killed in action. King John Bryce Warrant Officer, RAFVR. King John Southey Martyn Flight Lieutenant, RAFVR. Kirk Mrs. Mary (formerly Mrs. Damon) Airwoman 2nd Class, Women's Auxiliary Air Force. Knight Frank Ernest Flight Lieutenant, RAFVR. Knowles Edgar Allan Sergeant, RAFVR. Killed in action. Lanktree Miss Sheila Katheen Mary Leading Airwoman, Women's Auxiliary Air Force. Lee Miss Adelaide Lydia Leading Airwoman, Women's Auxiliary Air Force. Leech Miss Mary Marjorie (now Mrs. Gouch) Airwoman 1st Class, Women's Auxiliary Air Forece. Leeson Miss Margaret L Acting Corporal, Women's Auxiliary Air Force. Leggatt Miss Ursula Norah Women's Auxiliary Air Force. Lett Miss Meriel Constance Women's Auxiliary Air Force. Lett Mrs. Joan Dorothea Airwoman 2nd Class, Women's Auxiliary Air Force. Lund Mrs. Anne Violet Airwoman 2nd Class, Women's Auxiliary Air Force. Mac Gillivray Donald Cameron Flight Lieutenant, RAFVR. Mac Rory Harry Ian Sergeant, RAF. MacDonald Miss Flora Leading Airwoman, Women's Auxiliary Air Force. MacDonald Charles Keith Guion Flight Lieutenant, RAFVR. MacDonald Duncan Farquhar Flying Officer, RAFVR. Missing on active service. MacDonald Héctor Flight Sergeant, RAFVR. MacDonald Huntley Fraser Flight Lieutenant, RAFVR. MacDougall Alexander Squadron Leader, RAFVR. MacDougall George Aircraftman 2nd Class, RAFVR. Macfarlane George Robert Aircraftman 1st Class, RAFVR. Mackie Robert John Flight Lieutenant, RAFVR. Mackinnon Gordon Macdiarmid Sergeant, RAFVR. Killed in action. Maclachlan Ronald Keith Flying Officer, RAFVR. Maclean Henry Sergeant Air Gunner, RAFVR. Killed in action. MacLeod Kenneth Mackenzie Warrant Officer, RAFVR. Macmillan Ian Douglas Flight Lieutenant, RAFVR. Macpherson William Robert Leading Aircraftman, RAFVR. MacRae Mrs. Lucy Florence (now Mrs. Austen) Women's Auxiliary Air Force. Magness George Eric Flying Officer, RAFVR. Maitland Heriot Miss Audrey Women's Auxiliary Air Force. Maitland Heriot Miss Clare A. Leading Airwoman, Women's Auxiliary Air Force. Maitland-Heriot Torrance Leading Aircraftman, RAFVR. Maitland-Heriot Francis Flight Lieutenant, RAFVR. Died of injuries received in a road accident . Mallet Maurice Flight Lieutenant, RAFVR. Manington Alan Ambrose Leading Aircraftman, RAFVR. Martin Miss Kathleen Section Officer, Women's Auxiliary Air Force. Martin Denys Philip Sergeant, RAFVR. Killed in action. Martin Ernest Mungean Flight Sergeant, RAFVR. Martin Robert Henry Flying Officer, RAFVR. DFM . Mason Albert Charles Stanley Leading Aircraftman, RAFVR. Mason Francis William Leading Aircraftman, RAFVR. Mattingly John William Flight Lieutenant, RCAFVR. Mawson Gibson William John Leading Aircraftman, RAFVR. McAllister Samuel Flying Officer, RAFVR. Killed on active service. McBay Arthur Cave Sergeant, RAFVR. Killed in action. McCall Ian Lindesay Flight Lieutenant, RAFVR. DFM . McClellan Kenneth George Leading Aircraftman, RAFVR. McClenahan Mrs. María Teresa Airwoman 2nd Class, Women's Auxiliary Air Force. McComas Claude Henry Pilot Officer, RAFVR. Killed in action. McLarty Donald William Flying Officer, RCAFVR. Mentioned in despatches. McLeod Ronald George Flying Officer, RAFVR. McNees Mrs. Sheila Mary Women's Auxiliary Air Force. Meelboom Mrs. Moria Bennison Sergeant, Women's Auxiliary Air Force. Menzies Aarón Aircraftman 2nd Class, RAFVR. Merrifield S. P. Leading Aircraftman, RAFVR. Middleton Algernon Flight Lieutenant, RCAFVR. Middleton Malcolm Herbert Flight Lieutenant, RAFVR. DFC. DFM. Miles John Campbell Shakespear Flight Lieutenant, RAFVR. Miles John Miley Flying Officer, RAFVR. Killed on active service. Miley Miss Denise Women's Auxiliary Air Force. Miley Miss Elaine Angela Women's Auxiliary Air Force. Milne Frederick Claude Bertram Flying Officer, RCAFVR. Milne Kenneth Norman Cecil Flying Officer, RAFVR. Milton Ronald James Mechanic (E), RNVR. (Fleet Air Arm ). Killed on active service. Mitchell Kenneth Hutton Warrant Officer, RAFVR. Mitchell Walter Joseph Aircraftman 2nd Class, RAFVR. Missing on active service. Moffat Mrs. Ida Airwoman 2nd Class, Women's Auxiliary Air Force. Moffat John Knox Flight Lieutenant, RAFVR. DFC. Mohr Bell Harold Pilot Officer, RAFVR. Killed in action. Mongan George Albert Aircraftman 1st Class, RAFVR. Moore Leslie Charles Leading Aircraftman, RAFVR. Moore Redfern Kenneth Sergeant, RAFVR. Killed in action. Moreno Ricardo José Warrant Officer, RAFVR. Morley Alberto Eduardo Flight Lieutenant, RAFVR. Morris Miss Norah Florence Leading Airwoman, Women's Auxiliary Air Force. Morris Mrs. Janet Alice Airwoman 2nd Class, Women's Auxiliary Air Force. Morris Mrs. Kathleen Annie Sergeant, Women's Auxiliary Air Force. Morris Desmond Edward Flying Officer, RAFVR. Killed in action. Morris Ian Walter Sergeant, RAFVR. Morrison Miss Margaret Smith Women's Auxiliary Air Force. Morrison James Flight Sergeant, RAFVR. Mountford Arthur Harold Leading Aircraftman, RAFVR. Moxon Oliver Charles Napier Flight Sergeant, RAFVR. Mulhall Albert Edward Flying Officer, RAFVR. Mulville Mrs. Dora Matilde Section Officer, Women's Auxiliary Air Force. Murray Miss Audrey Russell Section Officer, Women's Auxiliary Air Force. Murray Miss Ruth Armitage Leading Airwoman, Women's Auxiliary Air Force. Murray Gerald McLeod Flight Sergeant, RAFVR. Murray Robert Allan Flight Lieutenant, RAFVR. Neubert Mrs. Ray Kipling Section Officer, Women's Auxiliary Air Force. Newland Edward Vincent Sergeant, RAFVR. Nicholson Mrs. Olive Esme Women's Auxiliary Air Force. Nissen Mrs. Patricia Mary Section Officer, Women's Auxiliary Air Force. Nixon Geoffrey Shakespeare Malet Corporal, RAFVR. Nixon Theodore Francis Willoughby Pilot Officer, RAFVR. Ogdon Donald Leading Aircraftman, RAFVR. Oliver Miss Elsie Beatrice Airwoman 1st Class, Women's Auxiliary Air Force. Oliver Miss Norah Vera Leading Airwoman, Women's Auxiliary Air Force. Overton Harry Leading Aircraftman, RAFVR. Owen Thomas Alexander Sergeant, RAFVR. O’Brien Henry Thomas Sergeant, RAFVR. O’Connell Miss Irene Mary Teresa Airwoman 1st Class, Women's Auxiliary Air Force. O’Connell Mrs. Winifred Marie Leading Airwoman, Women's Auxiliary Air Force. O’Dwyer Terence Gillespie Flight Lieutenant, RAFVR. DFC. French Croix de Guerre with Silver Star. Pagnam Burton Grierson Flight Lieutenant, RAFVR. Parker Charles Graham Flying Officer, RAFVR. Parker Joseph Smith Aircraftman 1st Class, RAFVR. Parsons Mrs. Charlotte Mary Leading Airwoman, Women's Auxiliary Air Force. Partington John Claude Sergeant, RAFVR. Killed in action. Partridge R. W. Pilot Officer, RAFVR. Paton William Herbertson Leading Aircraftman, RAFVR. Patterson Ian Holland Flying Officer, RAFVR. Paul George Grahan Flying Lieutenant, RAFVR. Killed in action. Payne William Roca Wa rrant Officer, RAFVR. Prisoner of war. Peard John Flight Lieutenant, RAFVR. Pearson Alexander Cunningham Wing Commander, RAF. DFC. Killed on active service. Pearson H. M. Group Captain, RAF. Peddar Mrs. Norah Elizabeth Frances Women's Auxiliary Air Force. Pellens Mrs. Judith Mary Leading Airwoman, Women's Auxiliary Air Force. Pellens James Cree Martin Leading Aircraftman, RAFVR. Pendlebury Dennis Burler Flight Lieutenant, RAFVR. Percy Patrick William Squadron Leader, RAFVR. AFC. Perkins Miss Hilary Jean Leading Airwoman, Women's Auxiliary Air Force. Perkins William Sergeant, RAFVR. Killed in action. Peters Edward George Flying Officer, RAFVR. Peters Frederick Stanley Maude Flight Lieutenant, RAFVR. Pinsent Harold Ross Flight Lieutenant, RAFVR. Pinsent John Sondon Sergeant, RAFVR. Missing in action. Plowright Robert Pilot Officer, RAFVR. Killed in action. Plunkett Miss Alice Jane Muir Leading Airwoman, Women's Auxiliary Air Force. Plunkett Mrs. Germaine Carmen Evelyn Section Officer, Women's Auxiliary Air Force , Medal de la Reconnaissance Francaise. Poole Chas Flying Officer, RAFVR. Poole Thomas Frederick Peter Sergeant, RAFVR. Killed in action. Poore Stanley Wright Flying Officer, RAFVR. Pootts Samuel Leading Aircraftman, RAFVR. Poplawski Jerzy Squadron Leader, RAFVR. DFC & BAR. CV&Bar VM. Potter Charles Louis Pilot Officer, RAFVR. Potter Clifford Hodges Squadron Leader, RAFVR. DFC. Pring Arther Maurice Owers Flying Officer, RAFVR. Killed in action. 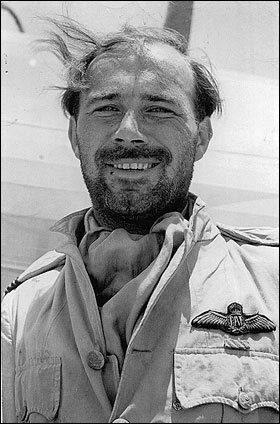 Pryor Gerald Cowes Flight Lieutenant, RAFVR. Killed in action. Puleston Gerald Arthur Flying Officer, RAFVR. Rankin Mrs. Edith Marguerite Women's Auxiliary Air Force. Rankin John Marquis Flying Officer, RAFVR. DFC. Killed in action. Ratcliff Miss Alice Idina Victoria Corporal, Women's Auxiliary Air Force. Raven Hart Roland James Pilot Officer, RAFVR. Rawle John Walter de Foix Flight Lieutenant, RAFVR. DFC. Ready Charles Peter Flight Lieutenant, RAFVR. Killed in action. Refsgaard Herbert Martin Aircraftman 2nd Class, RAFVR. Reid Miss Catherine Wallace Sergeant, Women's Auxiliary Air Force. Reid Miss Dorothy Catherine Airwoman 2nd Class, Women's Auxiliary Air Force. Reid Alexander Brodie Flight Lieutenant, RAFVR. Rendle Patrick Russel Flight Lieutenant, RAFVR. Reynolds Charles Henry Flying Officer, RAFVR. Reynolds Colin Leetham Flight Lieutenant, RAFVR. Reynolds Michael Flight Sergeant, RAFVR. Killed in action. Rhodes Frederick Stewart Thomas Leading Aircraftman, RAFVR. Richards Charles Samuel Flight Lieutenant, RAFVR. Richards George Alexander Flying Officer, RAFVR. Richardson Miss Dorothy (now Mrs. Cantwell) Sergeant, Women's Auxiliary Air Force. Riggs Miss Eva Muriel Women's Auxiliary Air Force. Ritchie Eric Francis Flying Officer, RAFVR. Robertson William Warrant Officer, RAFVR. Robinson Miss Pamela Sankey Leading Airwoman, Women's Auxiliary Air Force. Robinson Mrs. Sarah Elizabeth Sergeant, Women's Auxiliary Air Force. Robinson Brian Grahan Christopher Flight Lieutenant, RAFVR. Rodger Thomas Walter Sergeant, RAFVR. Killed in action. Rodríguez Joaquín Pilot Officer, RAFVR. Rodwell Robert Guy Flying Officer, RAFVR. Rogers Reginald Helbert Flight Sergeant, RAFVR. Rolfe Robert Stanley Leading Aircraftman, RAFVR. Ronald Miss Euphemia Beattie Section Officer, Women's Auxiliary Air Force. Roscorla John Sidney Flying Officer, RAFVR. Ross Alfred John Aircraftman 1st Class, RAFVR. Ross Daniel Aircraftman 2nd Class, RAFVR. Killed on active service. Roussillion George Victor Leading Aircraftman, RAFVR. Rowbotham Mrs. Margaret Anne Flight Officer, Women's Auxiliary Air Force. Rowbotham Charles Benjamin Warrant Officer, RAFVR. Rowbotham Dr. William George Flight Lieutenant, RAFVR. Rowbotham Roy Forsyth Flight Lieutenant, RAFVR. Rowe Mrs. Constance Eva Airwoman 1st Class, Women's Auxiliary Air Force. Rugeroni Miss Virginia Audrey Sergeant, Women's Auxiliary Air Force. Rumboll John Kitchener Plummer Pilot Officer, RAFVR. Killed in action. Runnacles Ernest Ronald Maurice Pilot Officer, RAFVR. Killed in action. Ruscoe Ernest Flying Officer, RAFVR. Rushworth Miss Mary Audrey Leading Airwoman, Women's Auxiliary Air Force. Russell Mrs. Elizabeth Jephson Leading Airwoman, Women's Auxiliary Air Force. Ryan Denis Mervyn Wing Commander, RAFVR. DFC. Ryder Mrs. Rossalyn Flight Sergeant, Auxiliary Air Force. Samuel Lawrence Leslie Flying Officer, RAFVR. Sanders Mrs. Katpleen Laura Muriel (formerlyMrs. Cowes) Flight Officer, Women's Auxiliary Air Force. Sanderson Hugh James Squadron Leader, RAFVR. DSO. DFC & Bar. Sawyer Frederick Richard Campion RAFVR. Schoua Ernesto Warrant Officer, RAFVR. Schroder Robert Bernard Flight Lieutenant, RAFVR. Scoffield Thomas James Flight Lieutenant, RAFVR. Scott Douglas Seymour Leading Aircraftman, RAFVR. Scott Richard Thring Lieutenant, SAAF. Scott Thomas Walshe Warrant Officer, RAFVR. Searle Leslie Francis Stiles Pilot Officer, RAFVR. Segrue Mrs. Mary Leading Airwoman, Women's Auxiliary Air Force. Selwood John William Aircraftman 2nd Class, RAFVR. Shadbolt Miss Eleanor Betty Leading Airwoman, Women's Auxiliary Air Force. Shaw Miss Maud Mercedes Airwoman 1st Class, Women's Auxiliary Air Force. Shepheard Francis Harrol Sergeant, RAFVR. Shepherd Robert Walter Flight Lieutenant, RAFVR. Sheppard Norman Albert Mac Tier Flying Officer, RAFVR. Sheward Ronald Edward Goodman Squadron Leader, RAFVR. DFC. Shoobridge Eric Stanley Aircraftman 2nd Class, RAFVR. Shreiber Nicolás Flight Lieutenant, RAFVR. Shulman Irwin Humberto Aircraftman 2nd Class, RAFVR. Sichel Miss Betty Emily Corporal, Women's Auxiliary Air Force. Simpson Miss Doris Pinkney Airwoman 2nd Class, Women's Auxiliary Air Force. Simson Walter Sub Lieutenant, RNVR. (Fleet Air Arm) . Singer Cecil Walter Leading Aircraftman, RAFVR. Singer Eric Frank Corporal, RAFVR. Sleigh Henry Down Sergeant, RAFVR. Smith Alfred Ernest Warrant Officer, RAFVR. Smith Charles Louis Flying Officer, RAFVR. Smith Edwin John Leading Aircraftman, RAFVR. Smith Frederick Stephen Flying Officer, RAFVR. Smith Henry George Albert Leading Aircraftman, RAFVR. Smith John Edwin Corporal, RAFVR. Smith Keith Jeffrey Flight Sergeant, RAFVR. Smith Patrick Flight Lieutenant, RAFVR. Soulas Adeus Regis Flight Lieutenant, RAFVR. Spanton Miss Dorothy Marion Section Officer, Women's Auxiliary Air Force. Stevenson Bruce Leading Aircraftman, RAFVR. Stevenson Clifford Washington Warrant Officer, RAFVR. Stewart Allan William Junior Corporal, RAFVR. Stock Leonard Flight Lieutenant, RAFVR. Stocks George Ernest Flight Lieutenant, RAFVR. Stocks Mrs. Enid Dodds Flight Officer, Women's Auxiliary Air Force. Stocks Thomas Sergeant, RAFVR. DFM. Killed in action. Storey James Flight Lieutenant, RAFVR. Stower John Clifford Flight Lieutenant, RAFVR. Mentioned in Dispatches. (Killed by Gestapo ). Streeton Douglas Leading Aircraftman, RAFVR. Suárez Pablo Geoffrey Flying Officer, RAFVR. Sumner Anthony John Le Coteur Flying Officer, RAFVR. Killed in action. Swanston William Thomas Leading Aircraftman, RAFVR. Talboys Ronald Ernest Flight Lieutenant, RAFVR. DFC. Tansley William Mark Somerville Squadron Leader, RAFVR. Taylor Miss Edith Theodora Section Officer, Women's Auxiliary Air Force. Taylor Miss Helen Mabel Sergeant, Women's Auxiliary Air Force. Mentioned in despatches. Taylor Mrs. Edith Mary Airwoman 2nd Class, Women's Auxiliary Air Force. Taylor Eric Frank Leading Aircraftman, RAFVR. Taylor Robert Hunter Leading Aircraftman, RAFVR. Thompson David Hugh Flight Sergeant, RAFVR. Thompson Gordon Atherden Sergeant, RAFVR. Thompson Robert Santiago Sergeant, RAFVR. Thomson Henry Bell Flight Lieutenant, RAFVR. DFC. Thurn Douglas Flying Sergeant, RAFVR. Timins Mrs. Sheila Gertrude Corporal, Women's Auxiliary Air Force. Timms Arthur Robert Pounell Flying Officer, RAFVR. Tointon John Stewart Flight Lieutenant, RAFVR. Tolley Miss Joan Kathleen Leading Airwoman, Women's Auxiliary Air Force. Tolley Geofftrey Whitton Flying Officer, RAFVR. Torres Sidney Joseph Flying Officer, RAFVR. Townshend Bernard Raymond Aircraftman 2nd Class, RAFVR. Traill James Flying Officer, RAF. Traill James Rupert Flying Officer, RAFVR. Killed in action. Treacy Walter Flight Lieutenant, RAFVR. Tregea James Richard Pilot Officer, RAFVR. Treharne Mrs. Margaret Stella Women's Auxiliary Air Force. Treharne John George Royston Aircraftman 1st Class, RAFVR. Trery Charles Ronald Flying Officer, RAFVR. Killed in action. Tudor Miss Elizabeth Leading Airwoman, Women's Auxiliary Air Force. Tudor Miss Marion Flight Officer, Women's Auxiliary Air Force. Turnbull Miss Frances Spence Temporary Corporal, Women's Auxiliary Air Force. Turnbull William Sergeant, RAFVR. Killed in action. Turner Lionel Eric Warrant Officer, RAFVR. Tyrrell Robert Cecil Sergeant, RAFVR. Killed in action. Udsen Achton Gordon Ronald Flying Officer, RAFVR. DFC. Waite Richard Edward George Flight Lieutenant, RAFVR. DFC. Walding John Edward Flying Officer, RAFVR. Walker Mrs. Grace Leading Airwoman, Women's Auxiliary Air Force. Walker Arthur Austin Langley Warrant Officer, RAFVR. Walker James Scott Flight Lieutenant, RAFVR. DFC & BAR. Wallis Stanley George Flying Officer, RAFVR. Killed in action. Walmsley Francis Henry Flying Officer, RAFVR. Walrond Kenneth Conrad Flight Lieutenant, RAFVR. Warn Thomas Reuben Pilot Officer, RAFVR. Waterhouse Charles William (formerly Zanocchi) Flight Lieutenant, RAFVR. Waters Victor Reginald Squadron Leader, RAFVR. Watkins Leonard James Cyrill Flight Lieutenant, RAFVR. Watt Alpin Group Captain, RAF. Watt Frank Alexander Flight Lieutenant, RAFVR. DFC. Watt Percy Squadron Leader, RAF. Killed on active service. Watt Robert William Hunter Aircraftman 2nd Class, RAFVR. Webb Douglas Richard Warrant Officer, RAFVR. Webb Gordon Frank Sergeant, RAFVR. Webster John Stafford Aircraftman 2nd Class, RAFVR. Killed on active service. Webster Ronald Harold Graham Flight Lieutenant, RAFVR. Weitzel Norman Edward Boyle Flight Lieutenant, RCAFVR. Welch Michael Gordon Flight Lieutenant, RAFVR. Wesley Andrew Alfred Wellesley Flight Lieutenant, RAFVR. Westcott George Bernard Flight Lieutenant, RAFVR. Weston James Louis Flight Lieutenant, RAFVR. DFC. Wheeler Roger Lloyd Pilot Officer, RAFVR. White Miss Isabel Jean Leading Airwoman, Women's Auxiliary Air Force. White Mrs. Helen Alexander Lilian Airwoman 2nd Class, Women's Auxiliary Air Force. Whitehead Ivor Warrant Officer, RAFVR. Whitty Jeffrey Richard Alan Flying Officer, RAFVR. Widdup Miss Margaret Airwoman 1st Class, Women's Auxiliary Air Force. Wildon Charles Raymond Flight Sergeant, RAFVR. Willans Thomas Blair Air Transport Auxiliary. Killed on active service. Williams Arthur Leading Aircraftman, RAFVR. Williams Paul Charles Flying Officer, RAFVR. Killed on active service. Wilson James William Flight Sergeant, RAFVR. Wilson Thomas James Pilot Officer, RAFVR. Withington Allan Claude Warrant Officer, RAFVR. Wonham Fred Arthur Bruce Gibbings Squadron Leader, RAFVR. DFM. Wood Geoffrey Sergeant, RAFVR. DFM. Wood Thomas George Flight Sergeant, RAFVR. Killed in action. Woodcock Dennis Ernest Norris Flight Lieutenant, RAFVR. Worboys Mrs. Phyllis Gatrill Leading Airwoman, Women's Auxiliary Air Force. Worsley Arthur Leslie Pilot Officer, RAFVR. Killed in action. Wray Eric Aircraftman 2nd Class, RAFVR. Wright Miss Norah Ada Bertha Asst. Section Officer, Women's Auxiliary Air Force. Wright Charles Leading Aircraftman, RAFVR. Wyllie Charles John Pilot Officer, RAFVR. Killed in action. Young Miss Ann Leading Airwoman, Women's Auxiliary Air Force.